There is freedom in numbers. Yes, I truly believe I experienced freedom in numbers this weekend. Saturday was such a special day spent meeting new friends face-to-face. These weren’t just “special” friends, but they were friends who have chosen to adopt from Ethiopia which just makes them INCREDIBLE people! (and yes, I include ourselves in that word as well!) HA! But seriously, I’ve never been at a place where each and every person “got it”. “Got” the reasons for which we chose to adopt, “got” the reasons why we chose to apply to the Ethiopian program, and “got” the reasons why God is just so incredible. Not only was Saturday filled with fun times at the zoo dripping in sweat, but it was a time of spiritual growth for us as well. We could look around the room and see the many emotions as we watched a family meet their new children…incredibly BEAUTIFUL children! With INCREDIBLE stories in the short years they have been on God’s earth. How could it not be a spiritual moment watching parents meet their two children…even if only by picture? God orchestrated that meeting completely! And I was in awe! 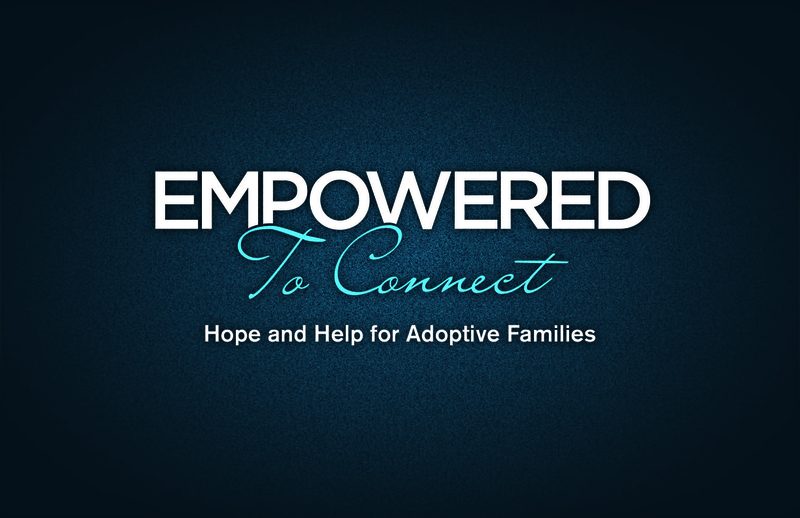 But also as cool, God orchestrated my adoption as well. Shouldn’t I be in awe? I tend to forget what an important relationship I have with Him. He sent His Son to die for ME….and YOU! Why am I not on my knees daily thanking Him that He continuously protects me, He guides my path, and blesses me with incredible new friends! I can only imagine the day Travis and I will be able to see our children walk (or be carried!) out of those doors in Ethiopia and the emotions that will well up inside of me…I MUST be reminded my God does THAT daily (or maybe even hourly!) for each and every one of us! We are accepted and adopted by the ONE who created us…even with ALL of our flaws, insecurities, and disabilities. What an incredible and humbling thought. Okay….so where are we, you ask?….Here’s an update! 2) We are heading to Niagara Falls for a few weeks to stay with friends and support them in ministry (check them out at Hope Club of Niagara on Facebook)! AND, we’re having a team from Findlay meet us there to do some street ministries with kiddos from the neighborhood!! 3) We are preparing for war I mean another yard sale! HA! 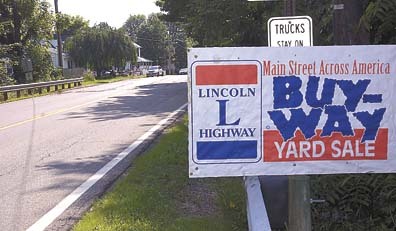 August 4, 5, and 6th we will set up shop at some friends’ house for the Lincoln Highway Buy-Way Sale (check HERE for more info). I’m telling ya, it’s intense! Feel free to message me for directions to our spot as we will have snacks, multiple families with TONS of STUFF, and we’ll have the ever-important stop with the port-o-johns! HA! How can you even refuse? 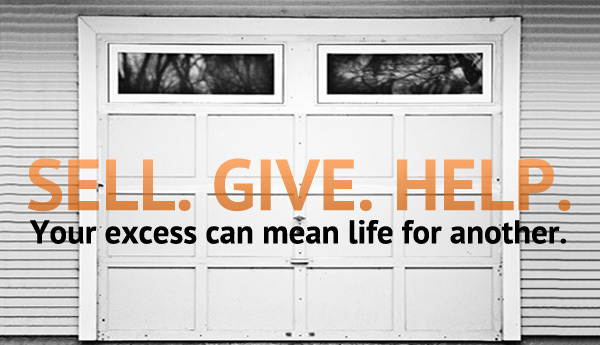 4) So, with the previous stated…(and I’m somewhat reluctant to post this) We ARE accepting more donations if you have those annoying things you keep tripping on when you open that hall closet… We’ll take whatever it is we can get! EVERY LAST PENNY we earn is going STRAIGHT to our adoption fund (we are just about $2500 shy of submitting our dossier!) Remember this little pic? Yep! I’m reusing it because it’s so incredibly true! This money isn’t going into our pockets, folks…it’s going to our babies! 5) With the approaching fall, we are greeted by the calendar stating the HUGE Christmas in October Craft Show at the Findlay, Ohio fairgrounds is AROUND THE CORNER!!!! October 1st and 2nd (first Saturday and Sunday in October) will be the dates for our NEXT Craft Show. 6) Therefore, with the fast-approaching show our fingers are busily working on creating new inventory! The selection will be wonderful!!! 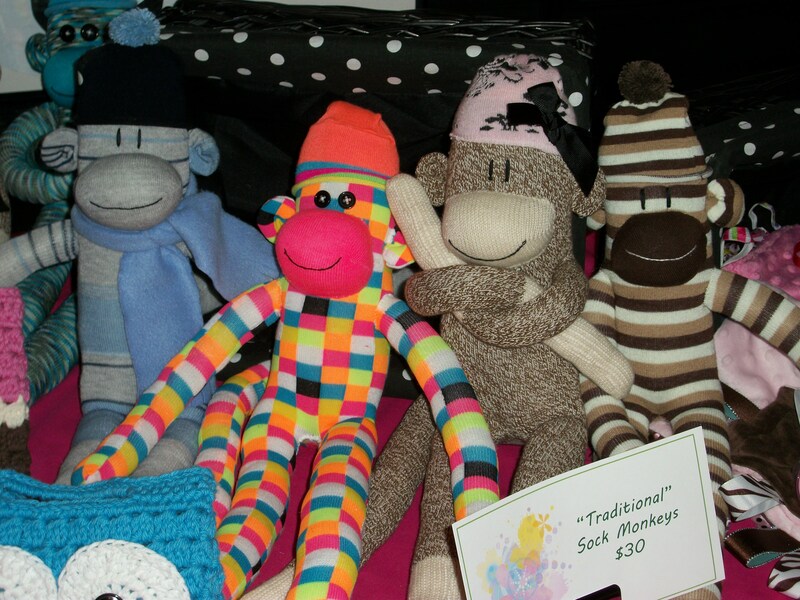 We have slowed down orders and paused our etsy site as we need to really concentrate on MONKEYS! We’ve created a lot of smiles both on the faces of our monkeys, as well as the faces of the recipients and really look forward to seeing where God takes us throughout the next few months! 7) And through all of this, I’m completing two courses for my state licensure in counseling and Travis is preparing to head back to school in about a month to a new special ed. position in the new K-8 Art’s Magnet school. Alright, so with all of those updates we NEED YOU TO DO SOMETHING…We NEED you to continue supporting our family in PRAYER! We’ve had some hard weeks, but with the obstacles we’re really be able to see our God working…even if it means we had to call in back up law enforcement 🙂 (see previous post on our donated corn stove being stolen from our yard, but then RETURNED after finding it listed on Craigslist…LOOOOONG crazy story!). So, we’re asking you to shoot up some prayers for us as this crazy roller coaster of adoption continues as we are on it for the long hull! So God has really been working on our hearts just within the last few days…It started by having a truly enjoyable evening with one of Travis’ high school friends who is just a joy and a caring spirit>a friend who is open to God’s voice and direction…. It continued the stirring in Travis’ and my hearts to really be open to God’s call upon our lives and the lessons He has to share with us. We were/are greatly reminded of His desire for us to TRUST HIM during our journey home from Iowa, when we got home to see one of our yard sale blessings stolen from our home, and then upon receiving our long-awaited adoption t-shirts that are NOT what we were expecting as they are NOT like the original design! You see, no matter the event, we are beginning to really see God’s involvement, and we are welcoming Him (although it’s not always easy!) God has been giving us single words to sum up some of our lessons, and I want to share them with you, and also see what word-lessons God has been reminding you about…. So…..I’m curious… What are some word-lessons God has been leading your through? (I’m asking for audience participation here…) 🙂 I look forward to learning with you through YOUR journeys!